ICE detains dozens of workers in Arkansas factory raid - Integration Through Media ....! ALMA, Ark. 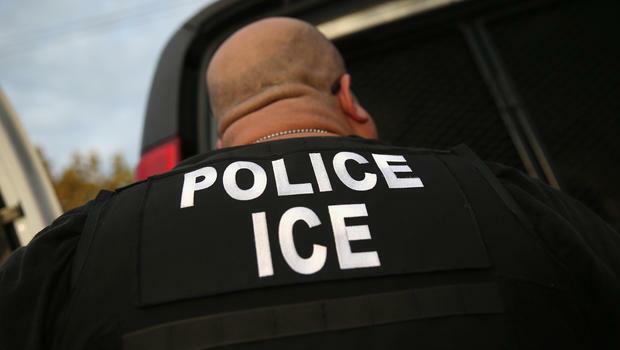 (AP) — The U.S. Department of Homeland Security has detained at least two dozen employees of a northwestern Arkansas food-processing plant as part of an immigration raid. U.S. Immigration and Customs Enforcement agents served a search warrant Wednesday morning at the Bryant Preserving Co. in Alma. ICE spokesman Bryan Cox says the warrant was for an existing criminal investigation but wouldn’t say what agents were investigating. Agents took in more than two dozen people suspected of living in the U.S. illegally. Cox said Wednesday afternoon he doesn’t have a specific number of detained employees because some were still being processed and others had since been released. Bryant Preserving employs between 45 and 65 people. The company says it’s not a subject of the investigation. The U.S. Attorney’s Office for the Western District of Arkansas declined to comment. “But no matter the destruction, the spirit of what it means to be a cathedral can and does survive such catastrophes.” -Becky Clark, Church of England director of..